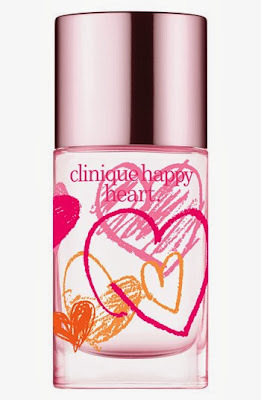 Clinique Happy Heart - 30ml EDP - $42 - a bright floral frgrance with hints os sweetness from mandarin orange and cassis mingled with soft floral notes of water lily, rose and geranium while dry notes of sandalwood, musk and blondewood create a harmonious balance, meant to linger and enrich the heart. And even if you already love the fragrance, you will really love the limited edition packaging of pink and orange hearts which not only looks pretty but also advertises that $10 from the sale of each of these fragrances will go directly to Happy Hearts Fund - an international charity founded and led by former supermodel Petra Nemcova that helps to build and rebuild schools in areas affected by natural disasters. Since its inseption in 2006, the Fund has built or rebuilt over 80 schools and kindergartens benefiting more thean 45,000 children and 450,000 community members. 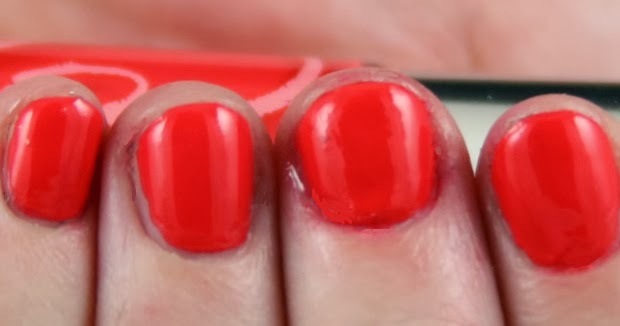 A Different Nail Enamel for Sensitive Skins in Happy ♥ - $14 - with a bright red-coral hue that can't help but make you happy! and what will make you even happier - $3 fromt he sale of each nail enamel will go directly to Happy Hearts Fund! 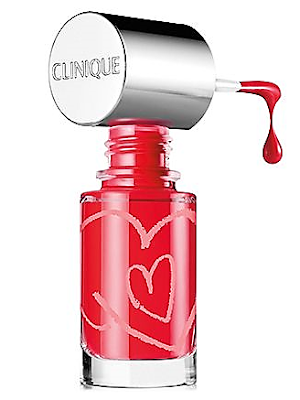 Available at Clinique counters across Canada as well as online at www.clinique.com.